Day by Day lots of Samsung phone is coming in the market and Samsung Galaxy A6 is also one of them. So here is the 100% working guide to root Samsung Galaxy A6 and Install TWRP. 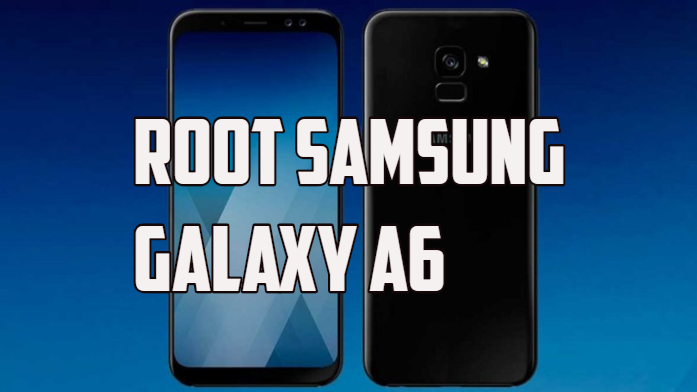 If you are the Samsung Galaxy A6 users and want to root the Samsung Galaxy A6, then you are in the right place. Today here we will show you can install the TWRP recovery on Samsung Galaxy A6 and get the root access on the phone. Samsung Galaxy A6 is powered with the 1.8GHz Qualcomm Snapdragon 450 octa core processor, 4GB RAM, 64GB internal memory expandable up to 256GB, 16MP+5MP primary dual camera and 24MP front-facing camera. Overall the device has some decent specs and many android phone users already bought this one. All credit goes to the XDA member BlackMesa123, without his support it’s not possible to root Samsung Galaxy A6 and Install TWRP. To get the root access on the new Samsung phone first you need to install custom TWRP recovery and after that, you have to flash the Magisk Root manager to get the root access on the device. For this all you need an ODIN tool and Windows PC. Below is the full guide which you follow on your device and root Samsung Galaxy A6 and Install TWRP. Once the phone is rooted you can do lots of things like install custom ROM, Install Xposed framework and other rooted apps. Check out some of the benefits of rooting here. Before following this rooting guide do take the full backup of your phone and save it in some safe place. So you can easily restore them if you something goes wrong and you lose the data. Download TWRP for Galaxy A6 here and save the file on your desktop. Download the Latest ODIN tool here to flash the TWRP on your phone. Download the latest Samsung USB drivers here. Download Magisk Root File here on your desktop. Download the latest no-verity-opt-encrypt zip on your computer. Download RMM By bass zip here. 1. Reboot to download mode. If you see the text RMM state = Prenormal, then it means your device is RMM locked. 3. Missing OEM unlock toggle in developer settings if your device has FRP. 1. Go to Settings and then About Device. Click on Build Number 7 times to enable Developer Options. Go to Developer Options and enable USB debugging and OEM unlock settings. 3. Now Open the ODIN folder from your desktop and run the ODIN exe file on your PC. 5. Open Odin and select the AP tab and select the TWRP files for your device. 6. Now hit the Start button on the ODIN app to install the TWRP on your Galaxy Phone. 7. Once Odin3 finished to flash the recovery (you should see a “PASS” message), force reboot your phone (Press and hold Power and Vol – buttons together) and once the screen is off, press and hold Power and Vol + buttons together to boot in TWRP. 8. Once TWRP is booted you first need to decrypt your /data partition. To do so touch Wipe > Format Data and follow the instructions in screen. 10. You’re now able to reboot to your OS without re-encrypting /data partition and without RMM Prenormal lock. Now follow the below-mentioned steps to Root the Samsung Galaxy A6. Now TWRP is in your phone, all you have to install some files to get the root access on the phone. 1. Boot your Phone in the TWRP mode. Power off the device. Once the screen goes off, wait for at least 5-6 seconds, and then press and hold the Volume Up and Power buttons together to reach TWRP. 2. Once TWRP is booted you first need to decrypt your /data partition. To do so touch Wipe > Format Data and follow the instructions in screen. 3. Once it finished go back at the home screen and touch Reboot>Recovery. 4. Connect your phone to the PC and Transfer the Magisk file to your Galaxy A6. 5. Install the Magisk file. On the TWRP’s home screen. 6. After that Install the RMM Bypass file too the same way. 7. Tap on the Reboot System button. Now your Samsung Galaxy A6 is rooted and TWRP is installed. If you are facing some problem with this guide then leave the comment below and we will help you to fix it up.